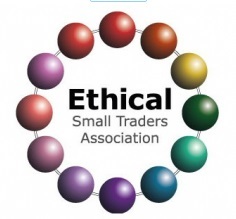 What does it mean to be an ESTA Ethical Trader? 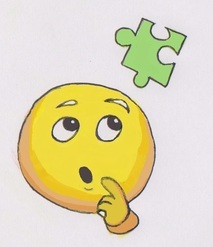 Ethics is a complex subject and being "ethical" means many different things to different people. In essence ESTA believes that good ethics is reflected in the way we treat other people and so this forms the core of our attempt to develop and encourage a more ethical approach to business. A 'good deal' needs to work for all parties, which leads to questions of how we listen to and assess the real needs of others, mutual respect, tolerance when things don't always go as expected or when mistakes are made, acceptance that most of the time people really are trying to do their best, etc. Whilst it is to be expected that those who join ESTA will want to work in a more inclusive and collaborative way, one should not take someones ESTA membership as an automatic guarantee that they are a good person to do business with. ESTA members are expected to behave in an ethcial way when relating to customers and suppliers. For those who have been a member for at least one year there is the possibility of using the ESTA logo on their publicity material, along with the statement that they are an “ESTA Ethical Trader”. In order to qualify to display the ESTA logo in this way ESTA members must undertake an audit in which they will take active steps to increase the sustainability of their business with reference to the sustainable indicators of the Four Bottom Line Framework. To do this members must become Associate Members. They also agree to certain basic standards of care in their relations and dealing with customers, clients and suppliers. LEGAL COMPLIANCE: Must have public liability insurance in place. ONGOING PEER REVIEW: Must remain a member of the ESTA Business club for the duration of the Logo use and remove it forthwith should membership cease. LEGAL COMPLIANCE: To abide by our defined standards of customer care and to undertake, in the case of an intractable dispute, to fully cooperate with Lancaster County Council’s Trading Standards officers. The basic member entry requirement for joining ESTA is low. Those interested in joining are usually attracted by the prospect of working in a more friendly and supportive business environment. They also show a positive interest in working for more than the bottom line. Whilst no-one is invited to join ESTA without a face to face meeting, how people actually work and relate to others and the way they conduct their business is usually only revealed after a period of time. This is why it takes a year before members can be considered as Associate Members, This provides a degree of additional safeguards, as the Associate Member actively agrees to cooperate if there is dispute with customers and contractors, which may include other ESTA colleagues. 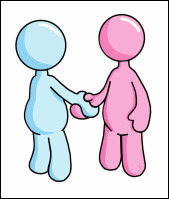 The ESTA support team will always try to help members resolve any disputes and miss-understandings amicably. By agreeing with the importance and value of our Quadruple Bottom Lines; particularly the Fourth Bottom Line, which recognises our need for ongoing personal development, there is a tacit admission that we are not yet perfect and, therefore capable of making mistakes. This means that ESTA members at least have the intention to not actively do harm and this makes them more disposed to try to reconcile things amicably. Five years of experience has proved this to be the case. ESTA members are advised to make their own assessment of the trustworthiness, proficiency and suitability of fellow members and not to simply assume that everything will be OK merely because someone is a Basic ESTA Member. Likewise, ESTA members should feel under no obligation to recommend, refer to or trade with other members unless they personally feel they can do or want to. Similarly customers should make their own assessments and judgements as to whether to purchase from or engage the services of an ESTA member. Positive referrals and recommendations can serve as a good guide but they can not always guarantee complete customer satisfaction. The Complexities of determining behavior to be ethical. In fact we would recommend these to anybody. The reason being that they are not prescriptive; assuming that if one simply ticks ones way through a set of procedural actions that everything will be resolved. Rather they accept the messy and compromising nature of most hard choices and provide an excellent framework and backdrop that can guide one in making difficult choices, whilst striving for the best outcomes. They are not specifically designed for a businesses setting but they are the best we know of and, we believe the guidelines are adaptable.